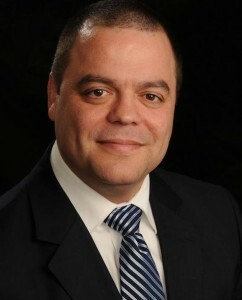 NYS Assemblyman Luis Sepulveda, 87th AD. As expected Bronx Assemblyman Luis Sepulveda announced his intention to run for the state Senate seat being vacated by Senator Ruben Diaz, who was recently elected to the New York City Council. The seat in the 32nd Senate District will officially become vacant on Dec. 31, 2017, after which Governor Cuomo is expected to call a special election to fill it. “I pledge to continue in the Senate with the same dedication and energy that I have shown in representing the people of the 87th Assembly District, who have returned me to office with overwhelming voting margins for three terms,” said Sepulveda. “In the Senate, I want to fight for public safety and criminal justice reform, education programs, affordable housing, increased access to mental health care, economic development and opportunities, and social service reforms, especially as they affect middle class families and the working poor,” he continued. “I look forward to sharing my progressive message with the voters of the 32nd Senate District in the coming months, listening to their concerns and delivering my case as being the most qualified person to serve them in the Senate,” he said. With the fate of Democratic leadership in the state senate in the balance, Cuomo could choose to keep it open until the general election next year. In the past, Cuomo has been reluctant to call special elections claiming that they empower party bosses. A special election cannot take place until at least 70 days after it is called — making mid-March a likely possibility. Cuomo’s office has said he was weighing his options.